There’s a moment that changed my life tremendously five years ago and it was when I typed the phrase “how to forget about the past” into google. Little did I know the rabbit hole of information I was about to get myself into; it’s funny how little moments can have such a big affect. To forget about the past you have to live in the moment, the “now.” Simple enough right? Well what I found was the same advice over and over and over but no real instruction on how to do it beside some cliche sayings like learn to “let go” and love yourself and breathe. I say “create” because it’s up to you and you shouldn’t wait for someone else to do it for you. I say “better and enjoyable” because you want to improve on your current situation and you want living to be fun. And I say “mind, body and spirit” because those, for the most part, are things you have complete control over. Once you build those three things, can build healthy relationships and find a satisfying career and all the other things that will make “the now” better. 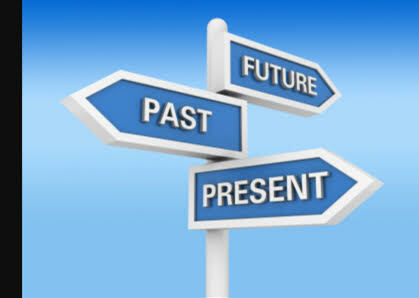 If you are stuck in the past things probably aren’t going that well or at least could be better. The past is gone and you’ll never get it back which can be really hard to accept. Your happiness relies on coming to terms with this. There’s hope though. You can make you current situations feel so good you will never want to go back in time. Your beliefs and values shape your life. Do you believe you have the ability to be happy? Do you believe you will get out of this rut? Or do you think you’ll never be happy? You’re stuck where you are? It’s scientifically proven having certain beliefs and values will lead to better happiness. There are two types of values, intrinsic and extrinsic. Intrinsic values are based on cooperation, building and having healthy relationships, self improvement, charity and having a satisfying career. Extrinsic values are based on competition, building relationships based on status, and money and material things. Of the two, which do you think gives you more happiness? Intrinsic values build something lasting. Extrinsic values leave you feeling hollow. Your inner world is a million times more important to happiness than your outer world. Our whole lives we’ve been taught to value money over everything. People choose their careers, colleges and friends based off this. But does money really matter that much? Once you have enough money to take care of your basic needs, it no longer becomes important to your happiness. In the documentary Happy this idea was studied and one of the conclusion made was people who make $5,000,000 a year experience the same level of happiness as those who make $50,000 to $75,000 a year. There’s even a show that regularly airs on TV called “Winning the Lottery Ruined My Life.” The same message is repeated over and over; money isn’t that important. And on average, the high of winning the lottery lasts one year until things return to normal. Once your basic needs are met, it is more important to express yourself as an individual or to help others. People who only make $5,000 a year felt a lot less happiness though than those who make $50,000. Having food and shelter with only $5,000 a year is almost impossible. What are my ideals and what do I really believe in? What is my ambition in life? and why? Am I prepared to face the truth about myself and make the change? Or am I liable to sit on both sides of the fence? What are my faults? What are my talents? What am I going to do about them? What are the things that affect and worry me? Just how important are they? Having clear answers to these questions can change your life and get you going in the right direction. Remember you want to make living in the “now” enjoyable and you won’t until you have the right values. Having your mind constantly in the past will never do you any good. It’s important to have a reflective mind, this way you can learn from the past but mulling the same moments over and over and wishing you were there again will do nothing. To prevent your mind from always going backwards you need to learn how to organize your thoughts. A really easy way to do this is to analyze your day right before bed. All you have to do is travel backwards through the day and write down all of the events. Investigate and analyze all incidents, thoughts, feelings, motives, acts and words of the day. As you time goes on you’ll learn more and more about yourself and notice things you never noticed before. You’ll begin to realize why certain things get you angry and what to avoid for your own happiness. This is also a time to see if you are living up to your new values and beliefs. Maybe you got angry, or reacted too fast in a situation. Instead of burying it or constantly thinking about it, you give yourself a chance to deal with it. Learn to forgive yourself and others during this exercise. Just be calm and patient with yourself as you look for solutions to your problems. Most people don’t know how to be truly healthy though and is reflected in how they workout. The average exercise routine is superficial and shallow. It might give you muscles but nothing else. This makes it almost indifferent towards your overall health. To be truly healthy you need more than just muscle development. You need to have strong lungs, skin and internal organs too. I’d like to introduce you to a routine that will develop all your muscles greatly and improve your flexibility and strength. More importantly, it improves the function of your lungs, skin and internal organs. And the best part? It only takes 15 minutes to do. This may sound like an impossible feat but it is possible with My System. My System was developed over a 50 year period by one of the most influential health experts and celebrated Danish athletes of all time named JP Muller. This system combines exercise, deep breathing, self massage and your daily shower. Your health will improve in so many ways it’s impossible to list them all. It’s an extremely relaxing routine and feels really amazing too. I started doing My System over two years and haven’t missed a single day. It’s too important to miss. There’s also a six week video course that will take any beginner to advanced and make learning My System easy and fun. Why wait? With the information here you will have a strong mind, body and spirit giving you the best possible “now” available. This is the foundation to a happy and healthy life with wonderful relationships, lots of laughs and a fulfilling career. Once you have all those things, your mind won’t go back to the past because what’s in front of you will be too pleasurable. You’ll begin to embrace challenges and take more smart risks. People will look at you as a source of strength and be amazed at how well you deal with problems. While others are stuck in the past and never fully present, you will be alive and on top of your game. You will develop more confidence and courage. Your spirit will be strong with high values and good beliefs. Your mind will be sharp and uncluttered with stray and harmful thoughts. Your body will look and feel healthy. People will wonder what your secret is! Please comment below and I’ll make sure to respond quickly. Also, share on social media for friends and family to see. Thank you for reading and start living in the moment! And if you just spend a few miuntes everyday going over your day, it can do a lot for your character. I love what you have to say here. I’m willing to bet there are far too many people with extrinsic values. I have seen that show “Winning the Lottery Ruined My Life”, and it’s a great example to much of what you talk about here. I’ve always believed that if you don’t like your current situation you need to be strategic in taking steps toward changing it. You’ve given some great ideas about all of the things to consider for choosing who you want to be and living it. I’m not sure what the braekdown is but im sure more people have extrisnic values too. Your site is inspirational, inviting and provides information that brings value to visitors. Your niche is vital in maintaining a healthy balance in oneâ€™s life and your passion for that shines through your content. When we focus on changing our present situation we then embrace the opportunity to change, to move forward and you have undoubtedly conveyed that message. Keep up your great work with very best wishes to you! Thanks a lot. Good luck in life! Very important stuff here. It’s interesting that you chose to mention the show about people winning the lottery and having it ruin their lives – to me it feel like that’s playing into the whole competitive mindset, where we bask in the failures of others. I wonder why nobody’s made a show about people winning the lottery and living happily ever after…? I really enjoyed reading this post – it’s so inspiring! I think too many of us these days get lost in what’s really important and spend our time and energy worrying about the things we really shouldn’t be worrying about! This post serves as a great reminder to what’s really important – we should each try and take time each day to remember this. ‘My System’ sounds like it will be great to aid this!